The format may be different, but the idea is the same. Rather than breaking down the upcoming week by day and having to pretend that there's a game every night that I really want to write about, we're breaking down the upcoming week by conference, giving you 5 options for each of the major conferences, and another dozen or so from the collection of mid-majors. These are the games that will matter the most when deciding who gets into the tournament, where they get seeded, and how far they can go. In addition to this weekly article, we're about a week and a half away from bringing back the daily elimination bubble tracker (planning on calling it "The Skimmer" as we'll be removing the undesirables from the pool, and let's be honest, you're just going to skim through it). Until then, here are the games to watch this week. If you can only watch one: I’ve been looking forward to the Duke/NC State game since before the season started. As you’ve heard a million times, the Wolfpack were supposed to be one of the ten best teams in the nation – call me crazy, but that just might still be the case. They had a rough three game stretch at the end of November, but aside from that, they’ve been a great offensive team that doesn’t play a whole lot of defense. However, there’s a fine line between beating Stanford or Western Michigan and playing against the #1 team in the nation, so this might be the first time they’ve really been put to the test in over a month. If they’re going to pull off the upset, Scott Wood will need to hit half a dozen triples, and Richard Howell will need to stay out of foul trouble while holding Mason Plumlee in check; the latter of which is substantially less likely to occur, given his history of getting Dairy Queened (4 already this season, including a scoreless 12 minute game against St. Bonaventure). On the other side of the court, the 16th game is the first true road game of Duke’s undefeated campaign, and thus potentially their first blemish in a season where home-court advantage is more prevalent than I can ever recall. Three years ago, I never would have dreamt I’d be saying this, but Duke’s chances of winning decrease significantly if Ryan Kelly is unable to go. The four-year three-point shooting forward willing to take a charge has been the key to Duke’s success since they painted that arc on the courts. From Laettner to Battier to Singler, Duke has been at its best when its “power forward” had some range, and at its worst when it didn’t (Lee Melchionni immediately comes to mind). If there’s a bright side to Kelly missing the game, Krzyzewski might have to finally give us an extended look at whether Alex Murphy can fill that role over the next three seasons. Whether or not Kelly plays, I think Duke is good enough defensively to subdue NC State while taking advantage of its sub-par defense, to the tune of a 76-71 win. And yes, I’m officially nervous about this game. 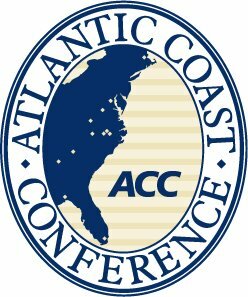 Rounding out the week of play in the ACC, we may have a repeat of last year’s Dulkys game when UNC visits Florida State to add to its horrendous start to the season; the perception of Maryland will turn on a dime after losses to Miami and NC State; and if Duke happens to lose to NC State on Saturday, they’ll get back on the winning track when the Yellow Jackets come to town. If you can only watch one: Iowa State has quietly been a good team – there’s no shame in losing road/neutral games against ranked teams or rivals, which is exactly what all of their losses have been – but I’d love to see them beat someone better than BYU before I start believing. A heartbreaking loss at Kansas is the ultimate moral victory, but it's still a loss. At best, it’s debatable whether Texas is actually any better than BYU, but I’m hoping this will be a statement game for both teams. For Iowa State, that statement should be “We’re doing just fine without Royce White,” and for Texas, it should be “What more do we need to do to get a new coach?” The best hope for Texas is that Javan Felix goes above and beyond his great play over the past six games (13 points and 7.7 assists per game), but I think Iowa State’s balanced attack will be more than enough to score a 79-67 win, which would start raising legitimate questions over whether Texas will make the tournament this year. Elsewhere in the Big 12, West Virginia gets two chances to secure its second conference win, but will more than likely fall to 1-3; State will win a road game over University in the Bedlam Series; and the only thing we can safely predict about Baylor’s season is that they will lose at Kansas, though I couldn’t tell you if it’ll be by 4 or 40 points. If you can only watch one: This is almost assuredly the worst week of games the Big East will offer all season, but I’m intrigued by the L’Ville/UConn game. Given that they’re ineligible for the tournament and that they’re playing for a new head coach, Connecticut’s season has been quite impressive; but Louisville might have the most complete team in the land. If I had to make Final Four predictions today, Louisville and Michigan would be my only confident picks (the others would be Indiana and UCLA). The Cardinals are built the way I try to build my fantasy baseball and basketball teams – get as many multiple tool athletes as possible. Having one guy excel at each major statistic can work for a while, but you leave yourself susceptible to slumps, injuries, and foul trouble. Louisville has an 8 man rotation of guys who play at least 15 minutes, and they all bring something similar but different to the table. Russ Smith is clearly their linchpin, though, and should be in the running for national player of the year. I like Louisville to win by a score of 86-69. In the less interesting Big East games, Georgetown needs to start a 3 game winning streak by holding D’Angelo Harrison under 20 points; Pitt will ride last week’s blowout win over Georgetown for at least another 2 weeks; if Cincinnati can’t beat Rutgers and DePaul, it might be time to give up on them after their hot start; and Seton Hall could realistically be taking a 16-4 record into their January 30th matchup with Georgetown if they can get by Marquette on Wednesday. If you can only watch one: Invent a three-sided coin, flip it, and be overjoyed with the result. Any of the three games involving Michigan or Minnesota would be well worth watching, but let’s focus on the one where they play each other, because it could be the game of the year. Despite Duke’s wins over Louisville, Minnesota, Ohio State, Temple, Kentucky, and VCU, it’s hard for me to accept that Michigan isn’t the top dog. At the end of the day, college basketball polls only exist to spark debate and to inspire interest in televised games, but I bring it up just to point out how good Michigan has been (as opposed to Arizona who might not even be ranked had they lost even 2 of their 4 last minute miracles). The quartet of Nik Stauskas, Glenn Robinson III, Tim Hardaway Jr., and (particularly) Trey Burke has been nothing short of fantastic in leading the Wolverines to the 2nd best FG% in the country. A rare poor shooting night made them struggle to ever pull away in Wednesday’s win over Nebraska, but they relied on stingy defense, solid rebounding, and ball handling (only 4 turnovers) to grind out a 15 point win. That’s what the best teams do. The best teams also go on the road to beat ranked teams, which is exactly what Minnesota did in convincing fashion on Wednesday. In fact, Minnesota has had an awful lot of convincing wins as of late. The Golden Gophers have won each of their past 8 games by at least 13 points, and they haven’t exactly been doing it against the Washington Generals. If the season ended today (thank heavens it doesn’t), Minnesota would be worthy of consideration as a 1 seed. How many people had that projected in the pre-season? 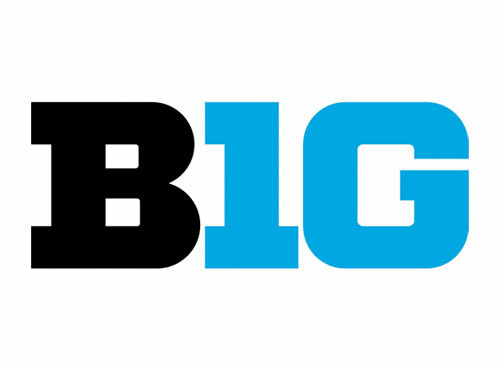 My guess – which ties into my guessed outcomes from their earlier games in the week – is that Minnesota will rebound from the road loss to Indiana by handing Michigan its first loss of the season by a very retro Big Ten type of score: 62-56. In the other two highlighted games, I like Illinois to start a three game winning streak when they visit Wisconsin, and I would take Iowa to finally pick up a Big Ten win when they visit Northwestern. If you can only watch one: Arizona State visits Oregon on Sunday night in a showdown between the conference’s biggest surprises. 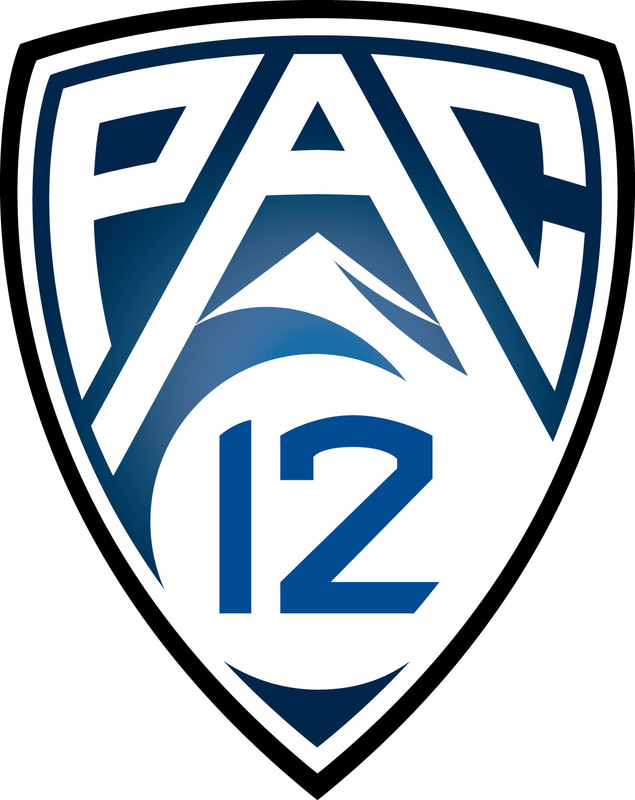 Both the Ducks and the Sun Devils became nationally relevant in mini-tournaments in Las Vegas over Thanksgiving weekend – Oregon beating UNLV before falling to Cincinnati, and Arizona State beating Arkansas before giving Creighton more of a battle than the final score indicates – and have been impressive ever since. ASU’s 1-2 punch of Jahii Carson and Carrick Felix has given teams fits all season, and it’s only going to get worse if and when Carson develops a jump shot. Jahii really strikes me as a less polished version of Rajon Rondo. He can get to the rim whenever he wants, has great court awareness, but he turns the ball over a bit too often. At 5’10” he’s probably too short to make it at the next level, so you might have another three and a half years to see him do his thing at Arizona State. At the other end of the college spectrum, Felix has been putting a nice cap on his college career, averaging 15.8 points and 10 rebounds over the past 5 games. Oregon offers the much more balanced attack – which, if you’ll recall, is what I love about Louisville – with 6 guys averaging 20-28 minutes and 8-12 points per game. Aside from Kazemi being their primary rebounding presence, there’s no one guy that does any one thing particularly, but they mesh together perfectly as a team, which should put Ernie Kent in the discussion for coach of the year. The Ducks have already played and won 2 of the 3 most challenging games of their conference schedule (with @UCLA looming next weekend), so I think they’ll be the team to beat in the Pac-12 this year, which a big win over Arizona State should demonstrate. I like the Ducks to frustrate Carson into a lot of turnovers and transition buckets on their way to an 82-71 victory. For the rest of the week in the Pac-12, Oregon State will drop to 0-4 in conference play after having to deal with an Arizona team coming off its first loss of the season, and traveling to UCLA; Colorado will score enough against the Bruins to make it interesting, but Shabazz Muhammad will bounce back from Thursday’s rough shooting night to carry his team to another road win; and Oregon improves to 4-0 after handing USC its 12th loss of the season. If you can only watch one: It’s been 11 years since Ole Miss has been to the NCAA Tournament, but Marshall Henderson could be shooting them to a berth this season. The transfer junior is taking and making more threes than any other player in a major conference, which has the Rebels at 4th in the nation in scoring. However, they’ve done it against a fairly weak non-conference schedule, and I have serious doubts over whether they’ll be able to hang with Missouri this weekend. The road game against Vanderbilt, on the other hand, should be a good barometer for the rest of their season. To say the least, the Commodores have not shown much promise this season, but that weird raised court has been a perennial home-court advantage. As such, it might be the 5th or 6th most difficult game left on Mississippi’s schedule, which isn’t saying much for the SEC. If Ole Miss can beat Vandy, I think 23-8 (12-6 in conference play) is a conservative estimate for their record at the end of the regular season. Whether that’s good enough to get into the tournament is yet to be determined, but I’ll like their chances after they win 67-59. 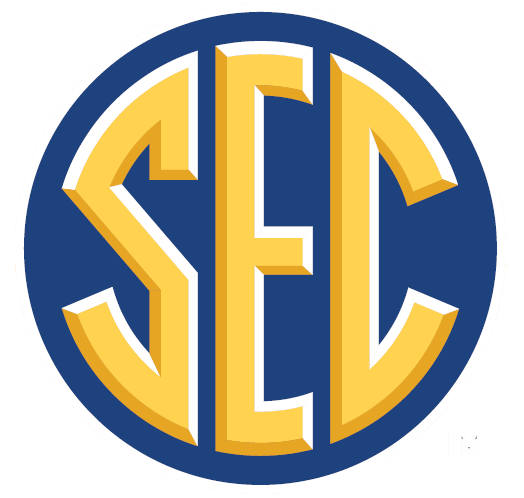 The other SEC team we’ll learn a lot more about this week is Texas A&M. The Aggies don’t necessarily need to beat either Kentucky or Florida to make a positive statement. Though, it would be great to find out whether they’re the team that beat Louisiana Tech and Houston, or whether they’re the team that lost at home to Southern University. 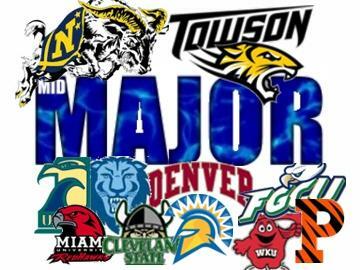 It seems there’s one of these teams in each major conference: double digits wins and an overall resume that just looks a whole lot better if you remove one game – you’ve got Marquette and their loss to Green Bay, Oregon State’s home loss to Towson, Baylor’s loss to Charleston, and Florida State’s losses to Mercer and South Alabama. What would it take at this point for us to believe in any of those teams? Florida State just got back to back road wins in conference, but it’s still hard to overlook those eyesores. Would wins over Kentucky and Florida be enough for Texas A&M, or would it just make us question how good those teams actually are? I sincerely doubt we need to worry about answering that, but either Texas A&M or Ole Miss (or possibly both?) 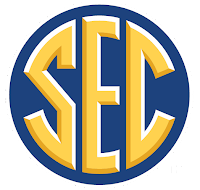 is going to represent the SEC in the tournament, and this weekend should help you decide whether you’re going to pick them to advance in their 7 vs. 10 game. If you can only watch one: Pick whichever BYU game best fits into your schedule. There are three West Coast Conference teams vying for anywhere from 0-2 at-large bids (assuming Gonzaga gets the automatic berth). Saint Mary’s and BYU are the more household friendly names, but Santa Clara is arguably the best of the bunch – although the home loss to UC Santa Barbara will not find them much favor with the selection committee. One thing to keep an eye on throughout the season: when playing at home, BYU is 10-0 with an average margin of victory of 22.2 points; when playing away from home, BYU is 2-4 with all 4 losses coming by double digits. Granted, the best team they’ve beaten at home (either Virginia Tech or Utah) isn’t as good as the worst team they’ve lost to on the road (Florida State), so these results aren’t particularly surprising, but the committee won’t be interested in extending an invite to a team that has a track record of coming out flat in road/neutral games that they’re expected to lose. A home win against Saint Mary’s would be nice, but they had better at least show up at Santa Clara on Saturday, because they’re quickly running out of chances to prove they can win on the road. Tyler Haws has been lighting it up all season (20.9 ppg), and if he can channel his inner Jimmer Fredette like he did against Virginia Tech (42 points), the Cougars can win any game. I think they’ll ride their recent hot streak to two big conference wins, but don’t sleep on Santa Clara’s Kevin Foster. If you can watch another one: The New Mexico @ Boise State game will only completely formulate our collective opinion of those teams for the foreseeable future, so I would tune in. Let’s assume that there are three possible outcomes (because there are). In outcome A, New Mexico travels to Idaho and beats up on the Broncos, asserting itself as one of the 15 best teams in the nation, and making us overlook Boise’s early season successes and label those Creighton and Wyoming wins as flukes. In outcome B, Boise State beats up on New Mexico, becoming everyone’s new favorite “sleeper” team for the NCAA tournament, and casting serious doubts on whether New Mexico is capable of playing away from The Pit. In outcome C, the game is decided by less than 6 points and we get the best of both worlds (whispers that Boise State might actually be pretty good, and tentative beliefs that New Mexico is the team to beat in the Mountain West). My guess is outcome B – Boise State rides the momentum of the emotional road win over Wyoming (despite their 1st, 5th, and 6th leading scorers being suspended for the game!) into a comfortable home win over a Lobo team that hasn’t shown much of anything on the road this year. Give me the Broncos by a score of 73-58. 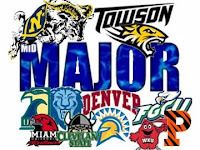 In the other mid-major games to watch, Saint Louis and Temple are mortal locks to finish in the top 4 of the A-10 with Butler and VCU, but I think Temple wins this home game by double digits, as Kwamain Mitchell still isn’t quite at 100% for the Billikens; UNLV travels to San Diego State in what should be the Rebels’ final loss of the regular season; and Saint Joseph’s travels to VCU to find out if the Rams have any intentions of losing an A-10 game in their inaugural season. If you can only watch one: The Ohio Valley title was supposed to be a 2 horse race; Belmont is holding its own, but Murray State has drifted back to the pack while Eastern Kentucky makes a charge fueled by a 12 point road win over those same Racers. EKY and Belmont square off twice before the end of January to potentially determine a front-runner for the remainder of the season, and my money is on Belmont pulling off the sweep. With wins over Stanford, Middle Tennessee State, and South Dakota State, the Bruins have shown more promise than EKY, who hadn’t beaten a team with a winning record until that game against Murray State. Also, Eastern Kentucky is almost the worst rebounding team in the nation, which is pretty pathetic given the caliber of teams they’ve played against to date – if you can’t tally 30 rebounds in a game against Eastern Illinois (also in the bottom 3% in RPG), who can you rebound against? Also taking place on stations you won’t be able to find more often than not, the Horizon League is completely up for grabs without Butler, and Wright State visits Loyola Illinois to start a 7 game stretch against the other 5 teams with a reasonable chance of winning the conference, which will almost certainly cause Wright State to drop from that list; Southern Miss will beat Houston en route to becoming the annual “That Team In Memphis’ Conference That Might Be Good Enough To Beat Them In Their Conference Tournament;” Canisius and Iona don’t have great records after scheduling a rather challenging non-conference slate, but will square off this weekend to determine who will be the team to beat in the MAAC; and Western Illinois plays the first of two consecutive home games against the Dakota States to determine whether they’ll have any staying power atop the Summit League (don’t count on it). design by katelinderdesign.com/ Copyright © 2014 senditinjerome.com. Powered by Blogger.